Governor Brown and state water bureaucrats blocked access to the dam’s design specifications, federal inspection reports, technical documents, and other crucial information. Much of that emerged in Independent Forensic Team Report: Oroville Dam Spillway Incident, a 584-page report that chalks up the disaster to “a complex interaction of relatively common physical, human, organizational, and industry factors, starting with the design of the project and continuing until the incident.” In addition, the designer of the spillway “was hired directly from a university post-graduate program, with prior engineering employment experience limited to one or two summers.” And the designer had “no prior professional experience designing spillways” and “no instruction on spillway design” in college coursework. 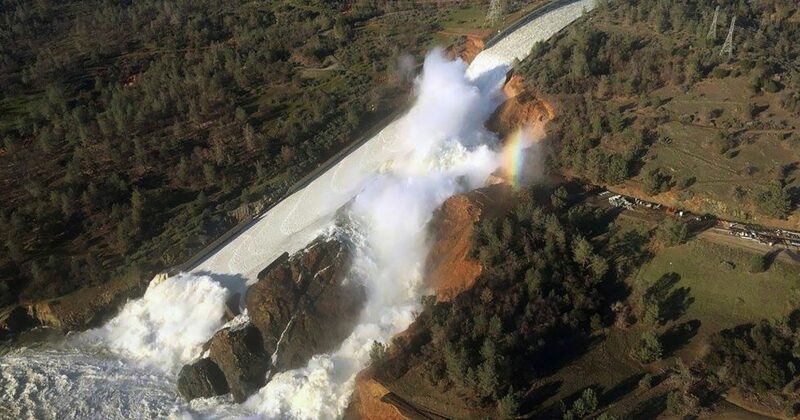 So little wonder that the spillway failed. As the Sacramento Bee reports, now comes a lawsuit charging that dam officials “stole equipment, cooked financial books to conceal wrongdoing, destroyed evidence and fostered a toxic culture of sexual and racial harassment that included slurs and nooses hung where a black worker would find them.” Female employees suffered “similar derogatory treatment,” and the lawsuit includes declarations from UC Davis sociology professor Kimberlee Shauman and Cal State Sacramento management professor Amy Mickel, who contend that “a toxic workplace culture could have factored into the spillway failure.” Taxpayers across the state have good cause to doubt it, and it would be hard to blame them for seeing this lawsuit as part of the coverup. Meanwhile, the massive forensic team report failed to name the unqualified person who designed the spillway in the first place, and at least one Department of Water Resources veteran contends there was no such person. (See the comments on this blog). The 188,000 people forced to evacuate might have a problem with that.